When a patient considers having a spinal surgery, the concern tends to shift between the condition and the best specialist to carry out the surgery. The question about who is better between orthopedic spine surgeons and neurosurgeons for certain spinal conditions. The quickest correct answer one can get is that any type of spine surgeon can conduct a successful surgery on your spine. 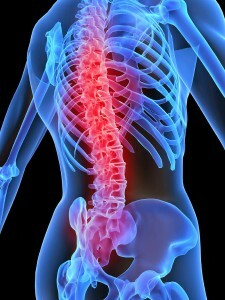 Whether orthopedic or neurosurgeons, they are capable of handling certain spinal conditions. However, for you to get additional and conclusive advice, it is worth digging deeper into the detailed comparison between these two types of specialists. Originally, neurosurgeons were primarily the only specialists dealing with spinal surgeries. However, the surgery field has evolved thus coming up with orthopedic surgeons who are even more specialized in spine operations. In both cases, the surgeon can always specialize in an area of interest such as the cervical spine, pediatrics, lumbar spine etc. They can either be doctors of osteopathic conditions or general doctors who go through five or six-year training with a focus on surgical treatment of the neurological problems. Neurosurgeons are trained to diagnose and treat disorders such as; the brain, the nerves, the spine and the spinal cord and the intraspinal and intracranial vasculature. Some of these specialists exclusively specialize in the spine surgery, others on the brain while others split their practice. Same as neurosurgeons, the orthopedic surgeons can either be doctors of osteopathic medicine or general medical doctors having focused on a five-year surgical residency treatment of the musculoskeletal problems. They are specialized in the diagnosis and proceeding treatment of bone and joint related disorders which include: bone tumors, trauma, spinal disorders, sports injuries, arthritis, total joint replacement and hand injuries and deformities. 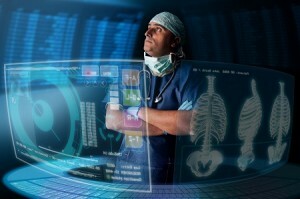 To become an orthopedic surgeon, the training and education is extremely deep, but focused on the spine. Orthopedics can exclusively specialize in orthopedic spine surgery, joints such as knees, the hips, and shoulders whereas others decide to split their practice and deal with more areas. Both the two professions take their professionals through fellowship training that would allow both the orthopedic surgeon and the neurosurgeon to be able to successfully do spinal surgeries. However, a few types of spinal surgeries are better done by one specialty than the other. Though in the past, the orthopedic surgeons tended to be better deformity surgeons, today, neurosurgeons have become more reliable when it comes to carrying out spinal deformity surgeries such as scoliosis among others. They also tend to have better qualification when it comes to performing intradural surgery e.g. 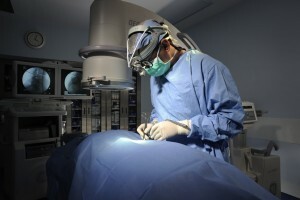 thecal sac tumor surgeries. In case you suffer from such related conditions, you would rather consider going to a neurosurgeon than an orthopedic surgeon. In a nutshell, if you are seeking for a surgeon who is skilled in the handling of disc herniations, disc degeneration, spinal stenosis, spine fracture and spondylolisthesis, then you have no problem seeking the services of either of the two specialists. However, if your condition is within the dura (lining of the spinal cord) which may include: tethered spinal cord, spinal cord tumors, syringomyelia and chiari malformation, then only neurosurgeons are specialized enough to diagnose and carry out a surgery. This entry was tagged doctors, health, medical, neurosurgeon, orthopedics, spinal conditions, spine, spine doctor, spine surgeon, spine surgery, surgery. Bookmark the permalink.